Webster Main Stage Rentals at Waterbury Palace Theater in CT! 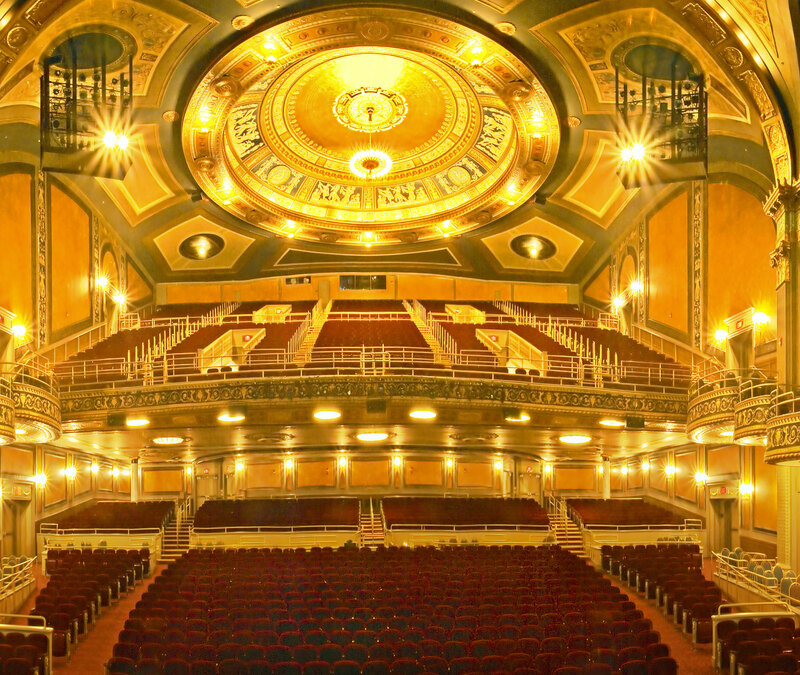 The Palace Theater is a 2,570 seat facility with orchestra and mezzanine levels. Additionally, the house can also be divided into three (3) other seating capacities: 635, 1136, and 1856. - Palace Theater feature email campaign - $350 per email. Other Marketing Opportunities are available. Please contact Sheree Marcucci, Marketing & PR Manager at 203-346-2008 or [email protected]. The Palace Ticket Form has 2 lines. Each line has a maximum of 32 characters, including spaces and punctuation. All information can be uppercase and/or lowercase and centered. Please list the event’s proposed on sale date. Some negotiation maybe required, depending on The Palace’s current list of sale dates and your event on sale. This information should be finalized and submitted with the contract, but no less than 4 business days prior to the on sale date.